The young crew on Artemis Ocean Racing 2, consisting of Jack Trigger, Mikey Ferguson, Hammy Baker and Lizzy Foreman crossed the virtual finish line off John O’Groats in the early hours of Monday morning. 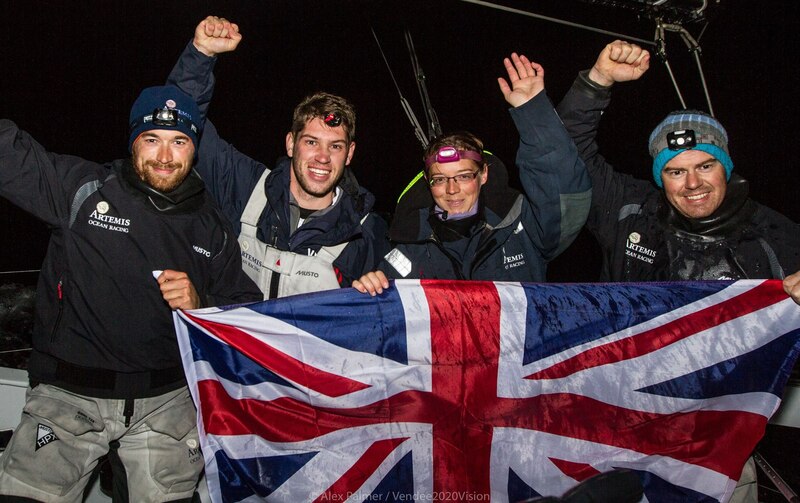 The team established an impressive new reference time for the ‘Length of Britain’ record course, completing the iconic route in just 2 days, 14 hours and 6 minutes. Read more about the record and the Vendee2020Vision project here.